Description: A crowd fills UC Berkeley's Greek Theater. 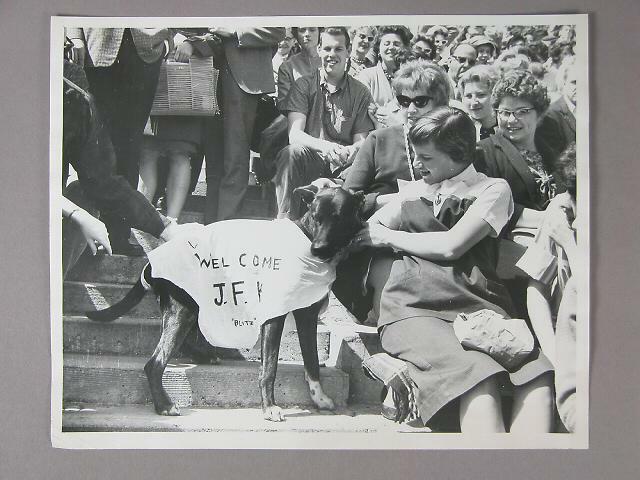 Photo is a close up of one woman who brought her dog with her to hear John F. Kennedy speak to the crowd. The dog has a white towel draped over it reading "Welcome JFK, Blitz." The woman is showing off the dog to the camera.